Triglycerides are basically fats that your body burns for energy. Too much of these fats, however, can be extremely harmful to your health. Doctors say that your triglyceride levels should be around 150 mg/dL. If they are higher, it could increase the risk of heart disease considerably. The good news is that it is possible to lower your triglyceride levels. There are a number of alternative remedies that can help you lower your cholesterol levels and improve your heart health. What is even better is that many of them can be found in your kitchen. Given below is a list of eight herbs and spices that can help you lower your triglyceride levels naturally. 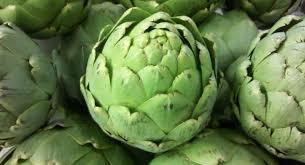 Artichoke leaf extract is known to lower triglycerides and also cholesterol levels by inhibiting synthesis in the body. It also contains a compound called cynarin, which helps your body excrete more cholesterol by increasing the production of bile in the liver and by speeding up the flow of bile from the gallbladder. Hawthorn is used to treat a variety of heart related problems. It dilates the blood vessels and allows the heart to pump out more blood during contractions. It lowers LDL (bad cholesterol) and triglyceride levels by increasing bile excretion and reducing cholesterol synthesis. Guggul is the extract of mukul myrrh, a tree native to India. It is known for its amazing medicinal properties and is used regularly in Ayurveda, the ancient Indian medicine system. Studies show that regular intake of guggul can lower the levels of LDL (bad cholesterol) and triglycerides and also increase the levels of HDL (good cholesterol). It also lowers the risk of coronary artery disease by inhibiting platelet aggregation. Garlic is one of the most potent natural remedies used to treat heart related problems. Regular consumption of garlic can improve heart health and reduce the progression of cardiovascular disease. It inhibits the enzymes responsible for lipid synthesis and reduces platelet aggregation. It contains an active compound named Allicin, which prevents fatty streak formation in the aortic sinus. It also lowers blood pressure, increases antioxidant status, and increases the level of HDL (good cholesterol). Considered the king of spices, black pepper is known for its antibacterial and antioxidant effect on the human body. Piperine, the active compound present in black pepper, protects the body against oxidative stress by neutralizing free radicals. It also improves lipid metabolism, lowers the levels of bad cholesterol, phospholipids, and triglycerides, and improves the level of good cholesterol. Turmeric is a powerful anti-inflammatory agent used to treat a variety of health issues right from gas to liver problems. It is particularly known for its role in heart disease prevention. It contains an active compound named curcumin that can lower the levels of triglycerides and cholesterol significantly. It also lowers the risk of myocardial infarctions and diabetic cardiovascular problems. Cinnamon is known for its antimicrobial, antioxidant, and anti-diarrheal properties. Regular intake of dietary cinnamon can lower the levels of serum cholesterol, phospholipids, and triglycerides. Ginger is used to treat an extremely wide range of ailments like sore throat, indigestion, constipation, hypertension, arthritis, and infectious diseases. It has anti-inflammatory, anti-thrombotic, antimicrobial, and anticancer properties and can lower the risk of heart disease, cancer, Alzheimer’s disease, and a number of other diseases. The active compound present in ginger is gingerol, which can dilate blood vessels and increase blood flow. Studies show that regular consumption of ginger can lower serum cholesterol levels and limit the progression of aortic atherosclerosis. Apart from the herbs and spices mentioned above, you can also add shiitake mushrooms, flaxseed, rosemary, oregano, and coriander to your diet to lower your triglyceride and cholesterol levels. A regular dose of omega-3 fatty acids, especially those found in fish oil supplements can also lower your cholesterol levels and improve your heart health significantly.